Considerations on the Principal Events of the French Revolution was a winner in the Scholarly/Reference category at the Chicago Book Clinic’s 2009 Book & Media Show. Germaine de Staël’s voice, which Napoleon Bonaparte tried to silence by censorship and banishment, is a unique and important contribution to revolutionary historiography. Considerations on the Principal Events of the French Revolution, considered Madame de Staël’s magnum opus, became a classic of liberal thinking, making a deeply original contribution to an ongoing political and historical debate in early nineteenth-century France and Europe. 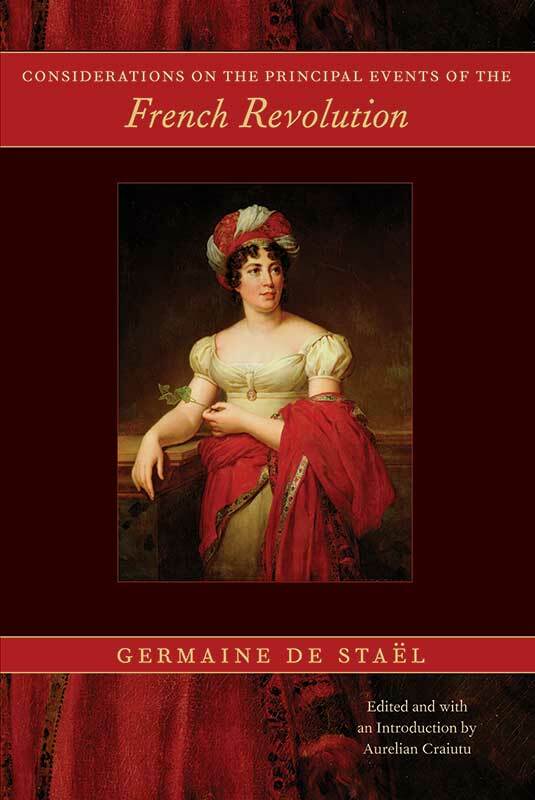 Germaine de Staël (1766–1817) rose to fame as a novelist, critic, political thinker, sociologist of literature, and autobiographer. Aurelian Craiutu is Professor in the Department of Political Science at Indiana University, Bloomington. Editor's introduction, note on the present edition, editor's footnotes, bibliography, index.